Provide comfort for the family of Beverly Dalton with a meaningful gesture of sympathy. It is with heavy hearts that we announce the sudden passing of our beloved Beverly Diane Dalton (nee Swanson) on March 27th, 2019, at the age of 78. Bev will be sorely missed by her children Russell King, Michael King (Sharon), Lynda Salerno (Dean) and Kathryn King (John), grandchildren Sean King, Kaity King, Crystal Clarke, Devin Clarke, Amanda Salerno and Devin Salerno, great grandchildren Keegan deBoer, Heidi deBoer, Delilah Kehler, Isaac Salerno, nieces, nephews and many wonderful friends. She was an avid Reader, animal lover, traveler and family woman. She will always be remembered as strong and independent. Special thank you to Bev's lifelong friend Lea Matyuska for all of her help during this difficult time. A celebration of Bev's life will take place in June of 2019. In lieu of flowers, donations can be made in Bev's name to the Thunder Bay District Humane Society. To send flowers to the family of Beverly Dalton, please visit our Heartfelt Sympathies Store. Provide comfort for the family of Beverly Dalton by sending flowers. So sad to hear about Bev’s passing. I knew her back when Kathy was in college and in the days of Paddy be Good (the horse) and that troublesome donkey. Oh and of course the goats , that crawled into my car and snacked on the upholstery, my fault for leaving the sunroof open. I will miss seeing her at Hymers Fair and send all her beloved family my condolences. My thoughts and prayers go out to Bev's family at this sad and difficult time. Bev was an good person who will be fondly remembered by all that spent time with her. 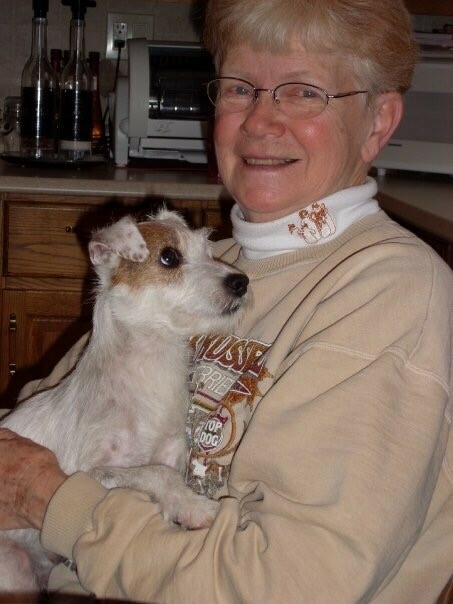 Her kindness and wisdom about the Jack Russell Terrier's she raised and loved dearly is how I got to know her and appreciate all that she gave to this breed. Family was her life and dogs her passion. Bev will be greatly missed.